The 243 meter long, 42966 dwt container ship MSC Alabama suffered a cargo shift near Valencia, Spain. 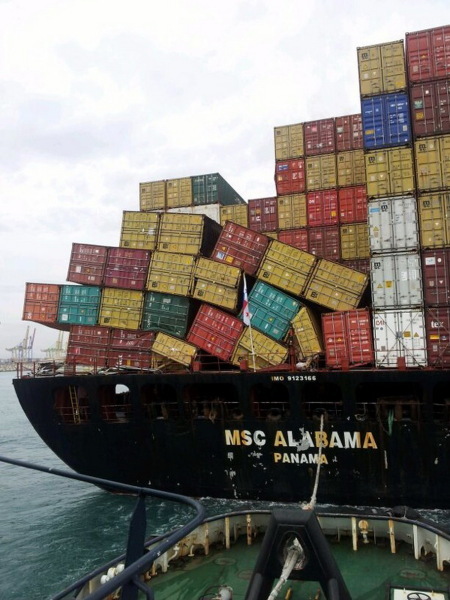 The MSC Alabama was proceeding to Valencia from Perama when several containers shifted in heavy seas. No reports of injuries or damage to the vessel. 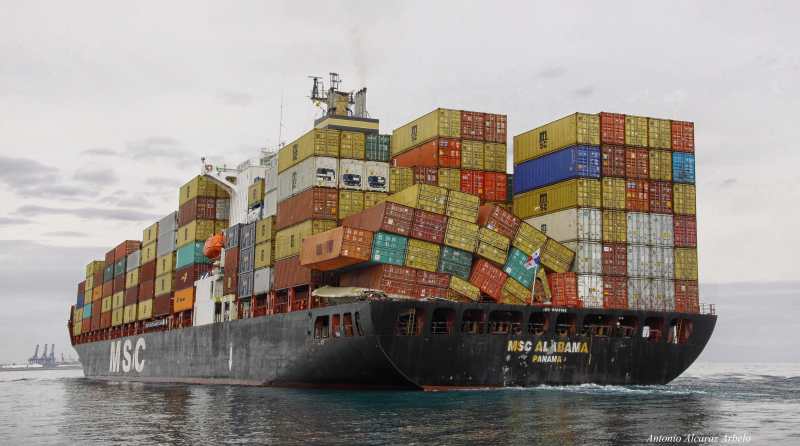 Reports state several containers fell overboard.